Artifact indeed. Lead singer Tom McGriff sounds more like Bob Dylan circa the “Blonde On Blonde” period, through “Nashville Skyline,” than the old wheezer did himself. McGriff’s uncanny vocal imitations often distract from the fact that this is one well-crafted piece of work, chock full of astute songs and strong musical teamwork. And backed by a skilled staff of local veterans, such as peripatetic bassist Rich Gooch, erstwhile guitarist Steve James, late of Skinhorse, drummer Tom Royer and key whiz Kenny Day, McGriff has a musical palette from which to work not unlike that provided to Dylan by the Band. Each instrumentalist plays to his own musical strength, enlivening the songs with sparkling accompaniment. Actually, the song “X-Blonde” sounds closer to Dylan’s Blood On The Tracks era in context. Day’s gospel tinged piano and buttery hammond leads the way , as James kicks in with chiming Fenderizations. McGriff adds acoustic guitar behind a tale of love lost. 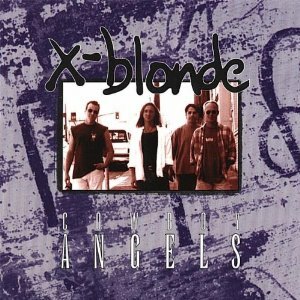 “”Sensitive, but hard as a rock/lose track of time, still she ticked like a clock/Been sheltered, but born with a spirit that longed to be free/In a setting that seemed so ideal/now romance would spin like a wheel/She was there once, now she’s gone/And her hair was blonde.” Blonde on ex-Blonde” maybe? As if not to dispel any Dylan associations, James contributes a Byrdsian intro to “No Vacancy,” a tune which benefits immeasurably from the relentless snap of Royer’s snare. “To Be True” gives an indication of what Tom sounds like without the Dylanesque affectations, perhaps closer to Neil Finn of Crowded Housewith elements of Jerry Joseph thrown in. Certainly capable and evocative. Likewise, “When The Rain Came Down” seems more aligned to John Mellancamp’s more soul flavored approach to folk, with perhaps a touch of Elvis Costello tossed in for good measure. But “Hour Of Late Sun” easily matches latter day Dylan for poignancy and sagacityÑ “I can never believe what you keep up your sleeve/still I struggle to find/ So I’ll continue to ask in each event like the last/Tell me what did I do this time.” James’ nicely rendered solo, simple at firstÑ slowly, soulfully building to a gentle climax, is a highlight. Royer’s rapacious snare again drives the bluesy, country twang of “Rocked In The Arms”ry twang of “Rocked In The Arms,” while Gooch’s pattended legato basslines thump in solid unison with his kick. Here, as in other places, rich production values serve to lend each tune its own musical identity. A fine dobro-like solo une its own musical identity. In this case, aadds the right touch of color. just “Lovers Cry” parrots Clyde McPhatter’s “Lovers Question” while maintaining a decidedly downhome groove, repleat with requisite , sumptiouslyy crisp harmony vocals by Erica Dickenson and Leisa Hart decorate the sonic landscape. Consistently,McGriff’s overblown wailing harmonica. But the hit of the set is buried deep at number ten spot in the line-up. “Hearts And Arrows” builds upon cello-like stacatto guitar chunks and gunshot drums into anthemic proportions by song’s end. McGriff’s compelling lead vocal helps to set this tune apart from the others, not only in the level of its sincerity, but y in the level of its sincerityÑto the degree that it stands on its own merit without the aid (or need) of mimicry. I hung out in musical circles in College, a lot of shy creative types attempting to express themselves— sometimes in public, to never more than mixed results. I remember two vivid exceptions were a guy who played and sang exactly like Shawn Phillips and another who played and sang exactly like Cat Stevens. They were always fantastically popular at any campus function; stealing the limelight, to our constant chagrin and bewilderment, because to us it seemed these guys were merely copping somebody else’s style and not really exposing any of themselves. That did not seem to prevent the young women in attendance from fawning all over these clones. Tom McGriff proves in several instances on this wonderfully recorded project that he has an expressive vocal instrument all his own, one that need not necessarily rely so heavily upon the influence of Bob Dylan. For McGriff, it is not necesary to do that. He often seems to be taking the easy way out, evoking some other vocalist to sing his highly personal songs; thereby relinquishing emotional ownership of the words. A mistake. Cowboy Angels present a plump slice of Americana with X-Blonde. That they sometimes harken to John Hiatt and Jackson Browne only deepens the twangy bathos.hung out in musical circles in cwith creative types, the sounds of John Hiatt or This accomplished crew prove themselves adept and endowed of a tremendous ability to communicate the musical concept of dynamic space. Each song is wide open, as each part of the ensemble flowers to fruitionÑ the obvious culmination of years spent plying the craft. Tom McGriff and the Cowboy Angels are as pro as they come. And if your’re a Dylan fan, all’s the better. 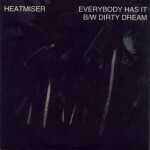 Heatmiser create their own claustrophobic little space with this single, adding to their longstanding legacy of quality recordings. Their conscious decision to avoid the big business of music would be the only reason they have not met with wider acclaim. They never fail to produce an arresting sound comprised of equal parts of skill and ekmotion. Wrapping around a snaky bassline and Tony Lash’s subtly hypnotic drumwork, “Everybody Has It” bubbles and boils with murky guitars, as Elliot Smith weaves a detached vocal into the sonic picture. With production contributions from Tom Rothrock and Rob Schnapf , the sonic milieu is tightly compressed, as if the band were recorded playing in a closet. All the instruments congeal in a thick soup, while Smith hypnotically details the parameters of life in the 90s. “Everybody has it…” a drug problem, AIDS, schizophrenia, envy, a longing for love. Smith, with cool detachment, clinically outlines the problem, creating an atmosphere not unlike an update of Blue Oyster Cult’s “Don’t Fear The Reaper.” Subtle touches: acoustic guitars and eerie keyboard lines add to the strangely disconcerting mood. “Dirty Dream” could be a Beck outtake, if only for the off-kilter arrangement and the key initial line “It all came back to me in the bathroom/after I woke up from a really dirty dream.” Again, faint and abstruce layers of instrumentation bubble just above the audible surface, coming into view before receding from the sonic picture. Heatmiser have spent the better part of the past four years briefly developing a sound and a modus operendi. And while our culture measures success in terms of new cars and vacation homes at the coast, the band has met with a quiet success of its own that does not conform to the traditional view. If this affords Heatmiser the conditions in which to continue to produce quality recordings, then more power to them. Mark Bosnian has been around Portland as long as the Willamette it seems. With this recording he celebrates nearly twenty years in the local scene; a career which has seen Mark meet with consistent success, from his days with the Burnside Bombers in the 70s through his work with Salmon Dave in the 90s. 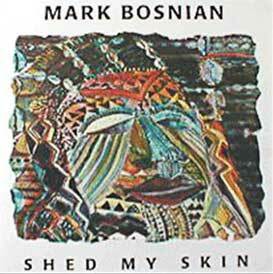 Shed My Skin is a description of how Mark has been able to sustain his position in the limelight after so many years. Bosnian rounded up many of the usual local music suspects to complete the project: guitarist Tim Ellis and bassist Gary Fountaine the foremost among them; and they rip through eleven original songs with well-tempered verve. Drummer Mike Braun drives “Written In Stone,” a song that sounds like a sequel to Ben E. King’s “Save The Last Dance For Me,” performed by Marshall Crenshaw. Bosnian’s proficiency at the craft of songwriting prevents the tune from becoming clichŽ though the arrangement milieu might be a little stale at this late date, sounding a bit 80s-ish. But “Right Before Your Eyes” could be the work of Freedy Johnston. Marks’s knack for an interesting hook makes of this simple song something piquant. Over a gentle of bed of chorused electric guitar, a blanket of acoustic guitars and piano is lain, couching Mark’s boyish voice in a warm environment. The title song “Shed My Skin” changes gears. A discorporated Fender Rhodes lays the foundation here, as random percusssion knifes through the landscape. The arrangement bespeaks a nod to the work of Peter GabrielÑ instruments appear for a measure, then disappear: creating a distinct, eerie atmosphere. A totally modern sound; one worth exploring more fully in the future. “I Don’t Know His Name” sounds like the cut Most Likely To Be Played By KINK, which means it is predictable in it’s numbing compassion and detached identifications. Well played, but innocuous. Perfect for KINK. Speaking of Freedy, Bosnian’s reggae flavored number entitled number “Perfect World” bears no resemblence to Johnston’s song from the album of the same name. Here, the sound is slick, almost too slick; calling to mind the more calculated efforts of Billy Joel. “Promised Land” sounds like Joel in his “Allentown” period, although Bosnian’s bent for authenticity moves him into the Mellencamp melon camp. Well constructed, but we’ve heard this all before. “Voice In The Dark” is a pleasant, country tinged ballad, that has nothing really new to say either; but it says nothing new in a tender and deliberate way. “Home To You” is a rather pedestrian pop song with a somewhat misguided arrangement. Of all the songs, this one sounds like filler. le model, with perhaps a dollopdoing “Let It Be” for good measure emotion and connection seem sacrificed for production values and technique. Perhaps this song would be better placed in a musical stage show. “I Need A Nap” is a good natured romp that seems to incorporate elements of Matthew Wilde’s “Break My Stride” and “Love Is Strange” by Mickey and Sylvia. But, have you ever played the game “What If”? You know, like “What if Michael Jackson and Lisa Marie Presley got married?” Oh, I guess they did get married! Well, you know the game… I find my self wondering with Mark Bosnian “I wonder what he’d sound like if he recorded an album with the Raging Woodies or Henry Moon.”now the game… I find my self p:or Heatmiser Shed My Skin is a fine recording, well-played at every turn. But it lacks fire and passion. On the rare occasions when Bosnian breaks out of his self-imposed parameters, he succeeds on a far grander scale. 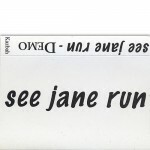 See Jane Run are an engaging three-piece unit who come in sounding like a cross between Everclear and Green Day with a touch of Nirvana and Perry Farrell mixed in. This four-song demo serves as a great introduction to this promising new band. We’re on a first name basis with the boys. With the ubiquitous Bill on drums, Brad on bass and stirring harmony vocals, and Dave on guitar and lead vocals, “Sunday” snarls around a hook big enough to snag a tuna. An auspicious inaugural expedition. “You” quickly follows. Dave’s effected vocals writhe over a powerchord framework, while Brad’s bass struts and frets upon the stage. Dave’s searing solo in the middle gives rise to the expectation as to his possibilities as a guitarist. in the middle gives rise to Not the strongest cut of the bunch, but satisfying all the same. “Portland” heads in another direction all together. A layer of acoustic guitars frosts the sonic cake: most likely angel food. For there is not a lot, besides air, holding this two-chord concoction together. A stronger chorus is needed to make it memorable. But “King Of The World” recovers the poise the band exhibit on the first track. A bold beat bolsters the foundation, while a simple “Sweet Jane” chord progression sustains the rhythm. And a memorable chorus pulls it all together, recalling the raucous joy of the immortal Billy Rancher. 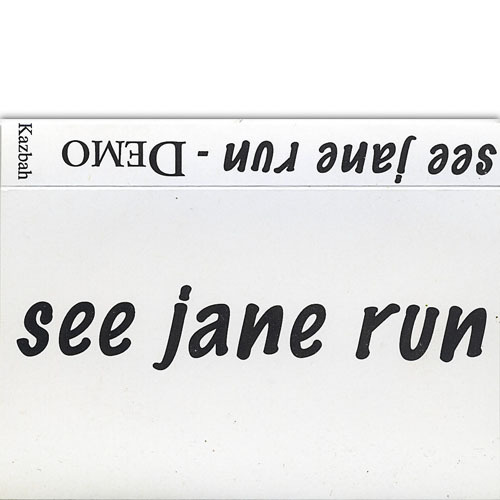 Though they seem to get distracted for a while (and, admittedly they’re only trying to show that they’re versatile), See Jane Run have a lot to offer a music fan looking for tightly constructed songs. 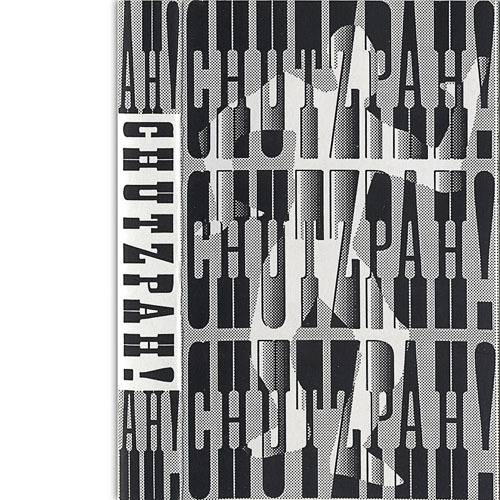 Their ensemble work, while not exactly inventive, is nonetheless substantial in essence and essential in substance. For now, that’s all they really need. Falling into Deadish territory pioneered by local faves such as the Treefrogs, Colobo and Higher Ground, Chutzpah! add a little spice of their own to the musical stew. It’s evident in the first track. Bassist Phil Hornik and guitarist/vocalsists Alan Graf and Mark Kirby combine to give “Rushin’ River” a decidedly African feel, as Jennifer Topping brushes a cymbal dance from her drumkit, before breaking into a syncopated gait. Hornik’s bubbling bass propels Kirby’s the tune, although no instrument plays on the beat in a wild 6/4 time scheme. Graf’s “Hole In The Sky” is articulate, introspective and good-natured in composition while calling to mind the great unknown Minnesotan band Trip Shakespeare. A series of well-executed guitar solos ushers the song home.peare. A series of well-wrought More jamming leads into the odd flat-picked folk tune “Song Of A Traveling Man.” While again affording alotted space for the requisite extended guitar solo, the song does not go anywhere that many other bands have not gone long before. “The Beach” reflects the influence of Paul Simon in its Afro/Reggae feel and pensive lyric. Still, though both Kirby and Graf are capable guitarists, their solos seem more to be marking time rather than saying anything integral. It is important for any band to learn to rein in the propensity for ad nauseum length solos. This song lacks a bridge. Instead, the players choose to of developing one, to improve the songfall back on solos. While this works in a live situation, where energized dancers just want a song to go on for ever and eve– in a recorded context, the same parts sound formulaic and repetitive. “Paradise Of The Mind” is a good case in point. Here’s a song that has a reasonable groove and a decent melody for the verse. But there is no chorus, no bridge; just the same two-chords repeating over and over– which allow for some very nice Mark Knopfler-like solo work. But Mark Knopfler did it and did it better in 1979. Kirby takes a stab it with the upstroke laden “Turned Like A Wheel,” where he leads to the spot where a good chorus would take the song over the top. Instead he opts to let a guitar plaster a predictable solo in its place. Chutzpah! have raw talent that has yet to be tempered by the sobriety of objectivity. Too many of these pieces are mere song fragments, serving primarily as jam vehicles. Such a imarily as jam vehicles. Such an approach cannot succeed beyond a modest club buzz, at best. 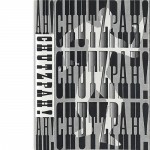 In order to take their music (and their means of expression) to the next level, Chutzpah! need to spend time developing these worthy fragments into complete songs. What is the song asking for? A verse is expository by nature, a chorus is typically summatory. It is rare when a mere hookline will work as a complete chorus. The listener needs more musical and lyrical information. A bridge often serves to impart special insight on the lyrical plane, while musically providing a change of pace through melodic and/or rhythmic development. These precepts were true for Beethoven, for Doc Pomus, for Kurt Cobain and they remain true today. Solos should be reserved for the recapitulation of themes. Remember, less is more. Riffs are always more valuable than chops.. And it remains true too that a band is only as good as its songs, regardless of the their ultimate musical virtuosity and get-down jammobility. These are lessons that Chutzpah, like many of their counterparts, must learn in order to survive very long. Raw talent is not enough. Now the real work begins.